No, many never even make it to the point of filing a claim because of settlement and other options. 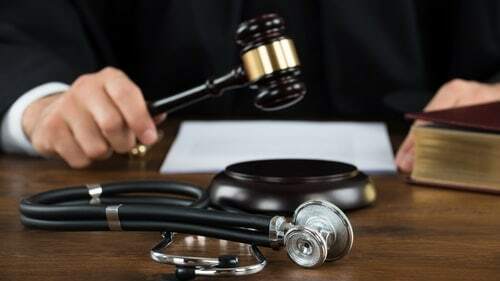 In the state of Illinois, to even file a Chicago medical malpractice suit, an expert in the medical field must fill out a report stating that they believe that there may be grounds for negligence, and this along with a signed affidavit must be presented to the court by the attorney and approved. Only after this process can the lawsuit move forward. Some cases may be settled before a lawsuit even is filed, or even after it has been approved. However, there are others that must go to trial if a settlement cannot be agreed upon. If they do go to trial, they can last anywhere from a few months to a few years. Some of the parts of the lawsuit-like discovery- can take a long time and extend the life of the case. Part of the reason why they tend to take longer than other cases is because of their complex nature. It takes a little bit longer for plaintiffs to make their cases and defendants to present their defenses. How Do I Know If My Case Will Settle Or Go To Trial? Did you need to have another procedure to fix what the first medical professional did? Did the doctors change their diagnosis over time? Did you suffer a disability, scar, or other injury because of the incident? Did the defendant violate the relevant standard of care? Did the people who provided you care have the relevant experience, training, and resources to complete their jobs? Want To Know More About Trial Options In Illinois Medical Malpractice Cases? Rosenfeld Injury Lawyers LLC has brought Illinois medical malpractice cases to successful outcomes in trial and in settlement. We have learned through experience the complexities of both and can help you understand how they might relate to your cause of action. Then, if you want to bring a case, we can assemble every resource and personnel needed to succeed. However, time's not on your side! Call us today to learn how best to pursue recovery.